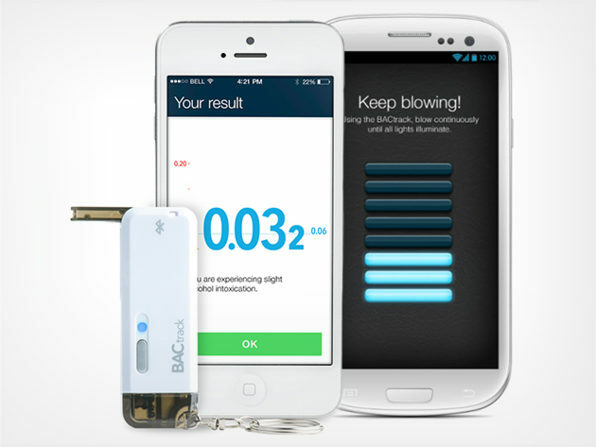 The BACtrack Vio Smartphone Breathalyzer is the smallest and most straightforward way to turn nearly any smartphone into a high-performance alcohol screening device. First, wirelessly sync with the free BACtrack app via Bluetooth connectivity. Then, simply open the flip-up mouthpiece, blow for 5 seconds and voila, you have an ultra-accurate BAC reading right on your smartphone. Slip the compact BACtrack Vio into your pocket or use as a keychain. ZeroLine® Technology gets an accurate read on when your BAC will return to 0.00%, and the sanitary flip-up mouthpiece keeps germs and impurities out. Try the BACtrack Vio Smartphone Breathalyzer at the discounted price of $40 at The Daily Caller Shop.